- This is an additional product of the tado° Starter Kits. You can add additional Smart Radiator Thermostats to your setup to control multiple radiators and zones independently from one another. - Control your heating with the tado° Smart Radiator Thermostat from everywhere and anytime - via app, tablet and PC. tado° pays for itself within the first year. 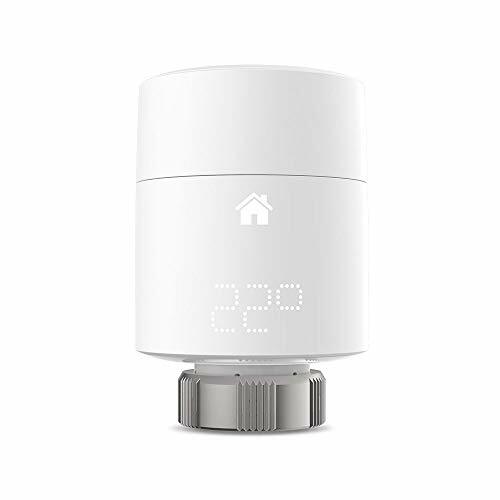 - The smart thermostat automatically cuts your energy bill up to 31% using your phone's location, weather forecasts, Open Window Detection and integration of building characteristics. - Works with majority of radiator valves (vertical mounting). Box contains: Smart Radiator Thermostat, 3 adapters. Requires tado° Internet Bridge (included in all Starter Kits).